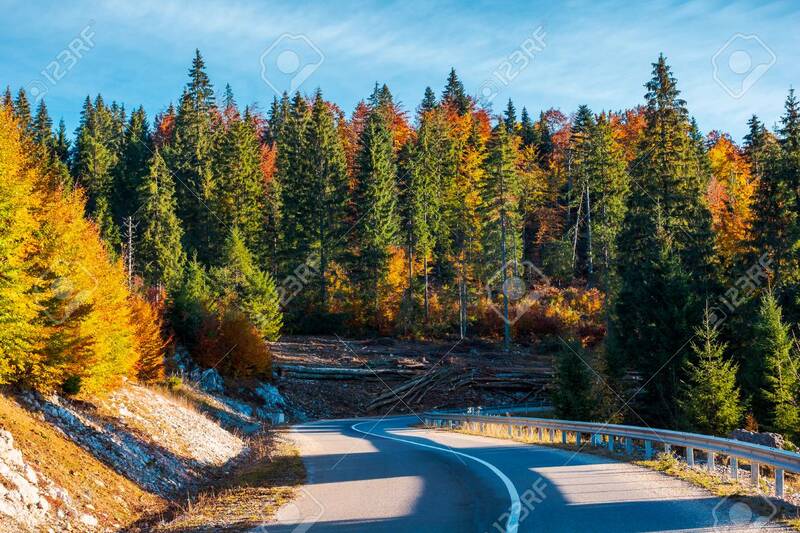 Winding Mountain Road In Autumn Forest. Lovely Nature Scenery.. Stock Photo, Picture And Royalty Free Image. Image 108409372.